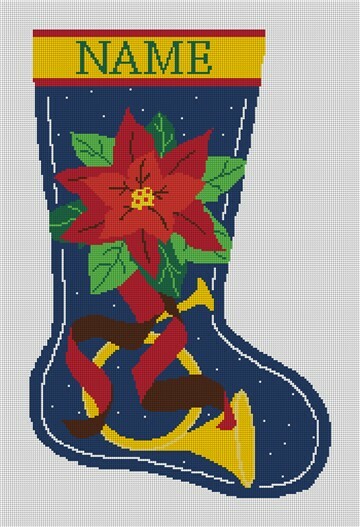 Stitch a personalized Christmas stocking needlepoint canvases this year for Christmas! Hand Made on Zweigart Mono Canvas, these canvases are made to your specifications. Colors, names, and font types can be adjusted to your preference. Please be sure to enter the name you want to be on the stocking, and we will email you a preview of your canvas for your approval. This design can be made on 10, 12, or 18 mesh canvas.